In another blog post featuring City West, a brief mention was made regarding the postal service in that community. Thomas Jefferson Field served as City West's third and final postmaster, beginning his appointment on March 19, 1844, and carrying it out until the City West post office was discontinued on November 5, 1849. When the United States Post Office Department (now called the United States Postal Service) discontinued a post office, those individuals living in the immediate vicinity of the closed post office would have their service transferred to another post office. This practice continues on today with discontinued post offices. Typically, service would be transferred to a locally adjacent post office. In the case of City West, mail service was transferred to a Porter County community called Fillmore, where a post office had been established on November 5, 1849 - the same day that the City West post office was discontinued. Most residents of Porter County are unaware of the existence of a community named Fillmore. Surprisingly, Fillmore was not located near City West, or even in Westchester Township. 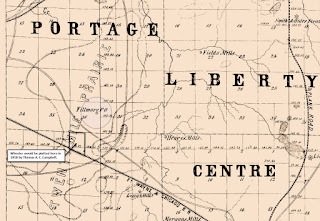 Fillmore was located on the west side of present day County Road 500 West, about midway between County Roads 600 North and 700 North in the southern reaches of Portage Township (NE¼ of SE¼ of Section 36, Township 36 North, Range 6 West). The Carlson Farm barn, visible today from County Road 500 West, is situated upon the former site of Fillmore. Thus, residents in the immediate area of City West had their mail service transferred to a newly created post office located nearly eleven miles to the southwest. 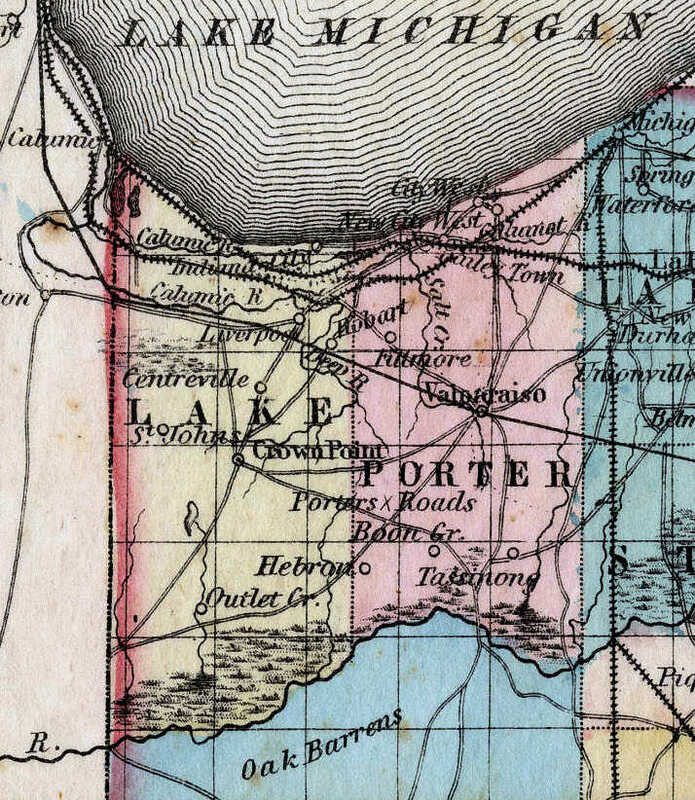 Map showing Porter County, Indiana, 1853. Fillmore is shown northwest of Valparaiso. Source: Colton's New Map of Indiana. Though Thomas J. Field served as its last postmaster, historical information never places him as residing in or near City West. 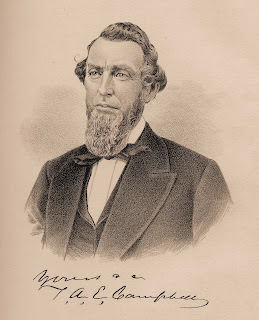 A biography of Field's son, Francis Jefferson Field, published in 1882, indicates that when the Field family migrated from New York to Indiana in 1836, they took up their initial residence in Michigan City, removing shortly thereafter to Liberty Township in Porter County and then onto Portage Township where Thomas would pass away in 1875. When Field became the postmaster of City West in 1844, it is known that this community was nearly deserted at that time. It is also known that mail delivered to Fillmore and the City West vicinity was picked up in Michigan City and delivered by horseback along what was formally referred to as the Star Route. Hence, it is likely that Field had a contract with the United States Post Office Department to gather mail for residents in the City West vicinity at Michigan City and then deliver it there, perhaps on a weekly basis, and continue on with delivery to Fillmore. It is speculated that Field may have deposited the mail for residents in the City West area to Alanson Green's tavern. Given this arrangement, Field was appointed the position of City West postmaster. The Porter County community of Crocker had a similar delivery arrangement with the Chesterton post office during its existence between 1893 to 1905. Why was mail service at City West transferred to Fillmore? The Coffee Creek post office located just southeast of present day Chesterton, which was operating at the time the post office at City West was discontinued, was much closer than Fillmore. This situation can likely be explained by a combination of patronage, land speculation activities, and existing postal routes. Thomas J. 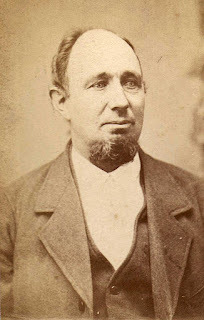 Field was an early Porter County pioneer. 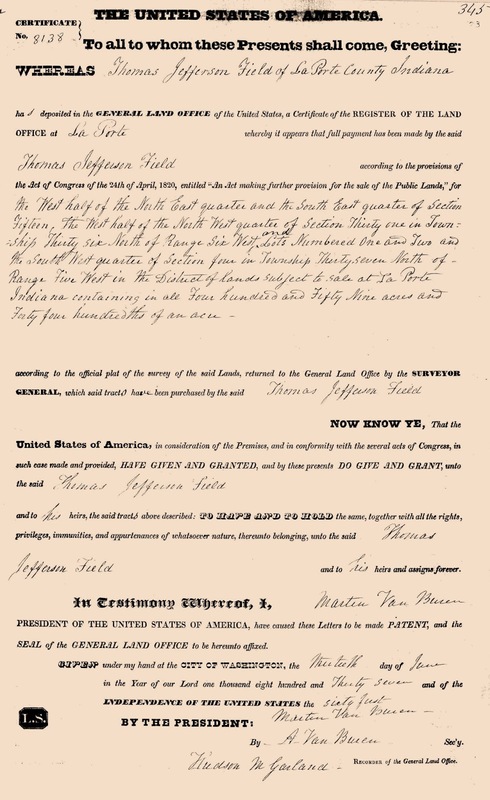 He received a patent from the General Land Office for the west half of the northwest quarter of Section 31, Township 36 North, Range 7 West, on June 30, 1837, adjacent to where the community of Fillmore would be established. Field obtained this particular parcel of land about two weeks before the plat of City West would be recorded on July 14, 1837. Range 6 West, where the community of Fillmore would be established. Office Records, Accession Number IN1750.345. Given the evidence, it appears that when City West's post office was discontinued its service was transferred based on Thomas J. Field's residence rather than the location of nearest existing post office. Furthermore, when post office transfer of service decisions were made in Washington, D.C., it is very likely that officials at the United States Post Office Department were not even aware of the exact physical locations of City West, Fillmore, or any other communities in Porter County. Transferring service to a location eleven miles away was not uncommon in areas that were still considered frontier and not well mapped. In addition, Thomas J. Field would certainly have been knowledgeable of the numerous land speculation activities taking place along the shore of Lake Michigan and elsewhere. Numerous land speculators in Porter County placed their bets on railroads, ports, and canals being established on or near their real estate, hopefully pushing up their land prices, and ultimately yielding them a handsome profit when they subdivided and sold parcels of their property. 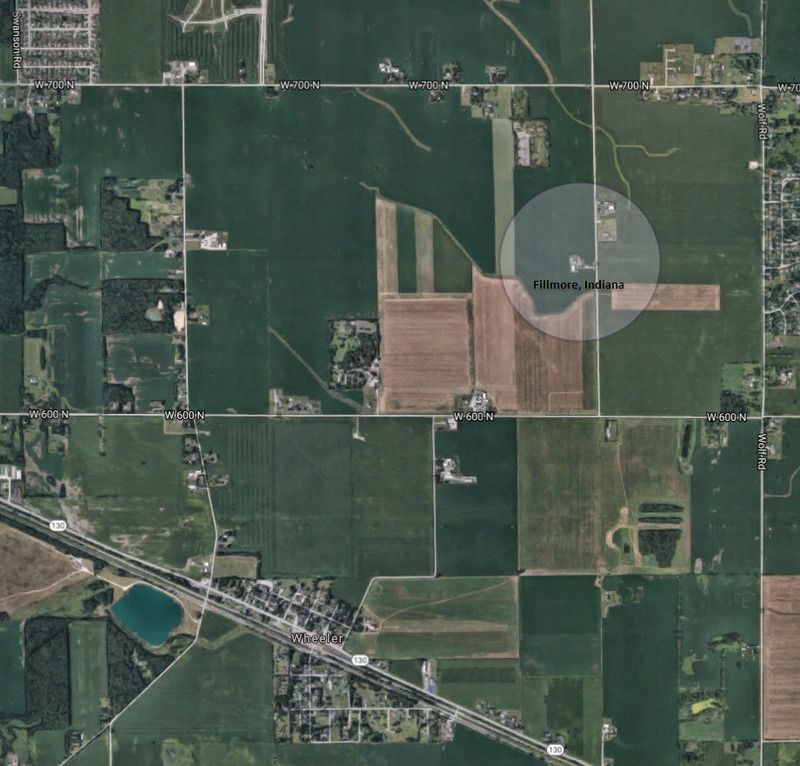 Field's property in southern Portage Township may have been a speculative investment made with some knowledge that he had concerning the probable location of a railroad being established within Porter County. If a railroad were to pass through or adjacent to Field's property, then he could increase his relative wealth rather quickly and substantially by subdividing his property and selling off parcels to pioneers settling in the area. Wheeler in Porter County, Indiana. Indiana, on the Elisha Arnold property. Source: Hardesty's Illustrated Atlas of Porter County, Indiana, 1876. Thomas J. Field would serve as the postmaster at Fillmore for slightly more than eight months, being replaced by Elisha Arnold July 16, 1850. It is likely that Arnold became the postmaster given that he purchased the real estate where the post office was established at Fillmore. A. G. Hardesty's plat map of Portage Township reveals that Elisha Arnold still owned the property in 1876. One has to wonder if Arnold paid Field a premium for the real estate based on speculative development taking place in the immediate area? In a column written by George Sigler Arnold and published in the October 9, 1934, issue of The Vidette-Messenger, Arnold erroneously states that his grandfather, Elisha Arnold, was the first postmaster of Fillmore (he was the second and last postmaster of Fillmore). He also states that the Fillmore post office was renamed Pilot Grove; there are no records contained in the United States Postal Service's archives, however, indicating that the Fillmore post office was ever renamed. Furthermore, there was already a Pilot Grove post office located in nearby Jasper County. It is highly unlikely that the United States Post Office Department would have allowed a change in the Fillmore post office's name when another Pilot Grove post office existed in Indiana. The next character to influence to future of Fillmore was Thomas A. E. Campbell. Campbell was a very early Porter County settler, arriving at the young age of 24 with his uncle Adam S. Campbell in 1834. Campbell's career path focused on real estate development and mercantile interests. Engraving of Thomas A. E. Campbell. Source: Goodspeed and Blanchard's Counties of Porter and Lake, Indiana, 1882. 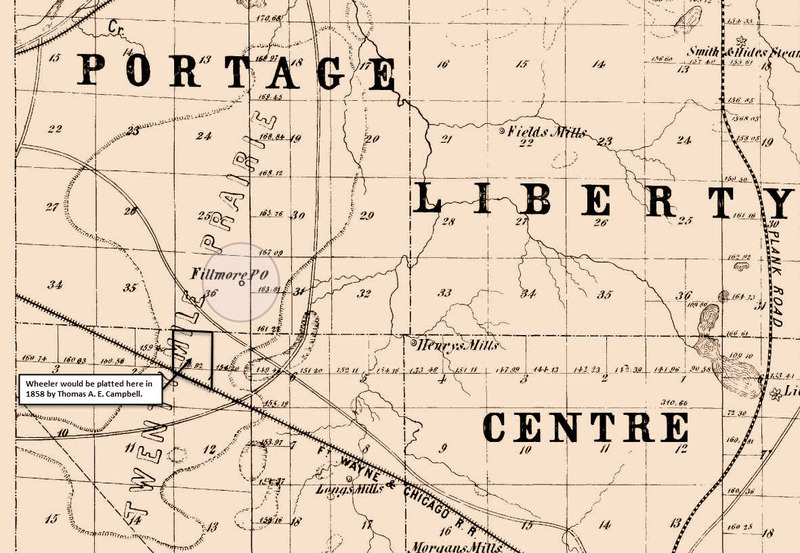 Campbell owned land in Union Township, and his property there was located adjacent to a proposed railroad - what would soon become the Pittsburgh, Fort Wayne & Chicago Railway (Section 2, Township 35 North, Range 7 West). Campbell subdivided his real estate and recorded a plat with the Porter County Recorder, on September 29, 1858, for a community he named Wheeler. Wheeler, according to A. G. Hardesty, was named in honor of an engineer on the Pittsburgh, Fort Wayne & Chicago Railway. Fillmore and future site of Wheeler, 1855. 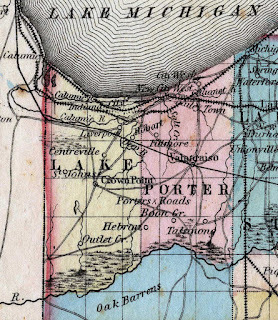 Source: Abbot's Sectional Map of Porter County, Indiana. Campbell's recording and sale of lots at Wheeler was the death knell of Fillmore. Wheeler was situated just over one mile southwest of Fillmore and, more importantly, it was situated along a railroad. 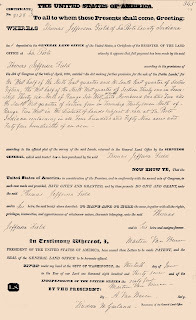 On December 11, 1858, the United States Post Office Department discontinued the Fillmore post office and transferred its services to a newly established post office at Wheeler. George W. Longshore would serve as Wheeler's first postmaster. In an interesting twist, Thomas A. E. Campbell was Valparaiso's second postmaster, beginning his appointment on June 6, 1838.
the first post master of Wheeler, Indiana. In all likelihood, the Porter County community of Fillmore was named in honor of Millard Fillmore. 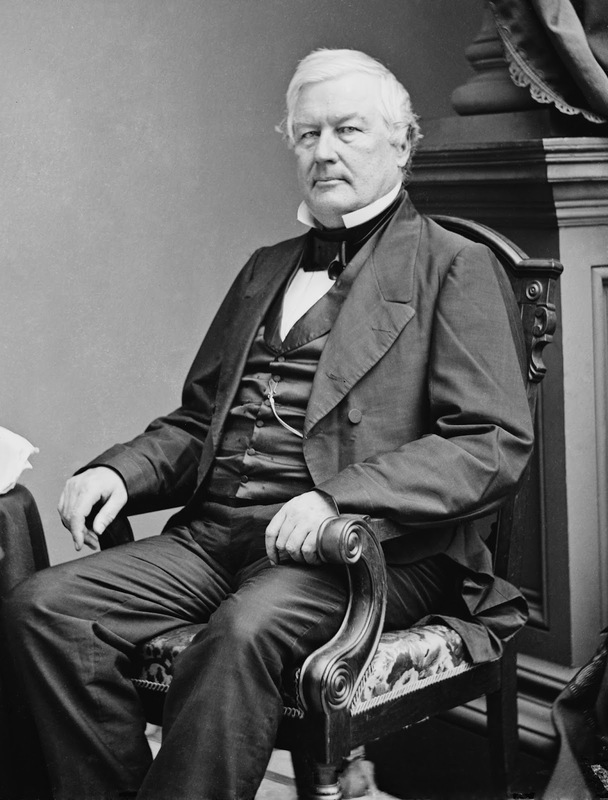 Fillmore served as vice president of the United States from March 4, 1849, to July 9, 1850. He then served as the nation's thirteenth president from July 9, 1850, to March 4, 1853, after Zachary Taylor died in office. Millard Fillmore, thirteenth president of the United States, circa 1855. Source: Library of Congress, Prints and Photographs Division. During this year , the town of Porterville, on the site of the old Catholic cemetery was laid out, but was never destined to prosper. The Hoosier's Nest, in Portage township [Hoosier's Nest was actually located in Union Township] became a promising village at this time. Mr. David Oaks, a fellow student and room-mate of Millard Fillmore in other days, came during the year '35 to this county. Here he remained until '74, when he and his illustrious friend departed from earth together. Mr. Oaks was one of the wealthiest, best and most influential citizens during the long period of his residence here. It is believed that Oaks and Fillmore boarded together while attending New Hope Academy in Sempronius (now Niles), Cayuga County, New York, as this is the only post-secondary school ever attended by Millard Fillmore. 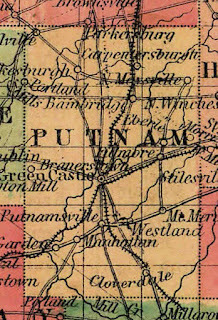 Map showing Putnam County, Indiana, 1860s. 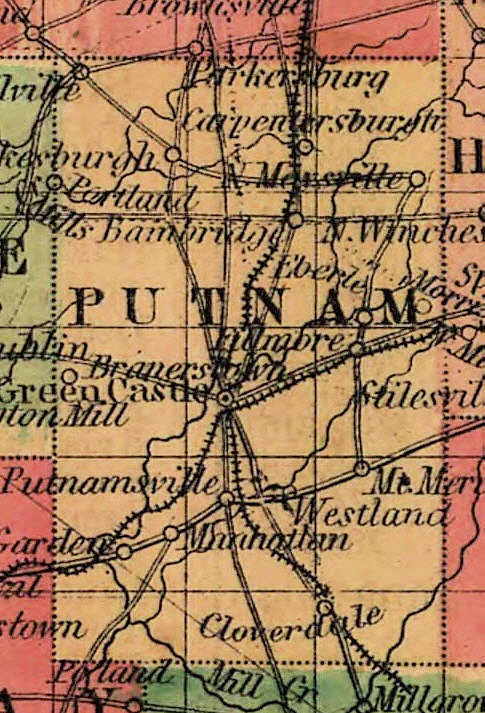 Fillmore is shown northeast of Greencastle. Abbot, E. P. 1855. Sectional Map of Porter County, Indiana: Carefully Compiled from the United States Surveys [Map]. Cincinnati, Ohio: Gibson and Company. 1 p.
Colton, Joseph Hutchins. 1853. Colton's New Map of Indiana Reduced from His Large Map Exhibiting the Boundaries of Counties, Township Surveys, Location of Cities, Towns, Villages, Post Offices, Canals, Railroads & Other Internal Improvements. [Map]. New York, New York: J. H. Colton. 1 p.
Colton, Joseph Hutchins. 186x. Colton's Indiana. [Map]. New York, New York: J. H. Colton. 1 p.
The Vidette-Messenger, Valparaiso, Porter County, Indiana; February 10, 1932; Volume 5, Page 3, Column 2. Column titled "Local Brevities." The Vidette-Messenger, Valparaiso, Porter County, Indiana; October 9, 1934; Volume 8, Page 1, Columns 4-5 and Page 5, Column 5. Column titled "Story of Fillmore and Pilot Grove," by George S. Arnold. The Indianapolis Star, Indianapolis, Marion County, Indiana; April 6, 1986; Volume 83, Number 305, Section E, Page 15E, Column 6. Column titled "7 State Counties to Celebrate Sesquicentennials: Porter County."